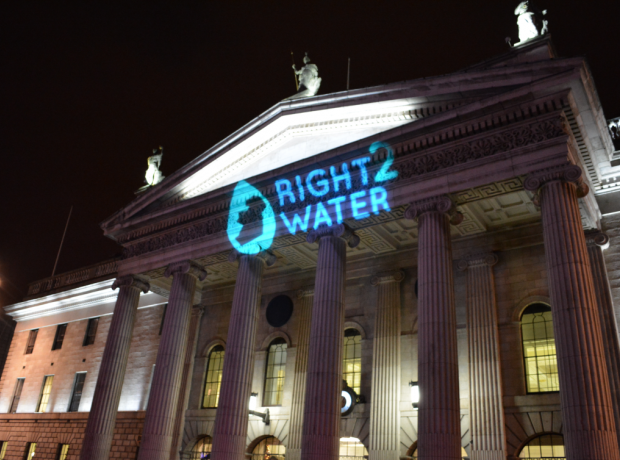 The next step in the campaign against water charges? The statement, and let’s leave aside the exact status of it for the moment, has been criticised on the Revolutionary Programme blog. The criticism of ‘electoralism’ is correct in my view but the first problem is not the desire to somehow, in some way, at some time, lever the people mobilised by the campaign into support for some electoral initiatives, alliances or whatever. There will be elections at some point not too far away and those opposed to water charges and austerity in general would be remiss in not seeking to utilise them to advance their struggle. Of course critics will claim, with previous ‘form’ for justifying such claims, that elections are typically used not to advance the struggle but the struggle used to advance elections. Our view comes from our understanding of how the state works and how the nature of the state is such that it cannot fundamentally change society or challenge the priorities set by the corporations and their cronies. This is because power and resources are distributed and reproduced by an economic system over which the Dail has little, and certainly no fundamental, control. In Ireland this is much more obvious since the most dynamic sector of the economy is that controlled by US multinationals and Irish people are used to accepting that neither they nor their legislators control these multinationals. To fundamentally challenge the priorities of the capitalist economy would mean either putting the system in crisis or compelling more radical transformation to a new system. It stands to reason that if people are put before profit in a system that puts profit before people that the system will start to malfunction or at the very least not function as well – through capitalists taking their money out of the country, failing to invest or simply stirring up political opposition to change. Alternatively, a completely new system requires something much more fundamental than changing the 166 people sitting in the chamber of the Dail. This doesn’t mean nothing can be done short of some revolutionary change but it does mean that certain limits are put on such change; the fundamental driver for it will exist outside the Dail; such change can only be temporary if more fundamental change is not made and essential change requires action by the working class itself and not by people elected by it to do it on their behalf. At the very least those advocating the election of those who will “enact the laws we, the people, need” are required to explain what will be done, who will do it and how it will be done. If this really is the way forward there can be no objection to debating it. If Marxists lose the debate and such a reformist road is carried then that will be accepted because it is only by changing workers’ minds that the Marxist alternative can come alive anyway. Marxists are not opposed to reforms, we are in favour of them, strongly in favour of them, especially when they are posed as a real alternative not to revolution but to no change at all. What’s more we do not believe that no reforms are possible, just that they will be contested, limited and will not conflict fundamentally with putting profit before people. What Marxists might really object to now is that such top-down politics is often advanced in a top-down way by those most loudly proclaiming their bottom-up politics. 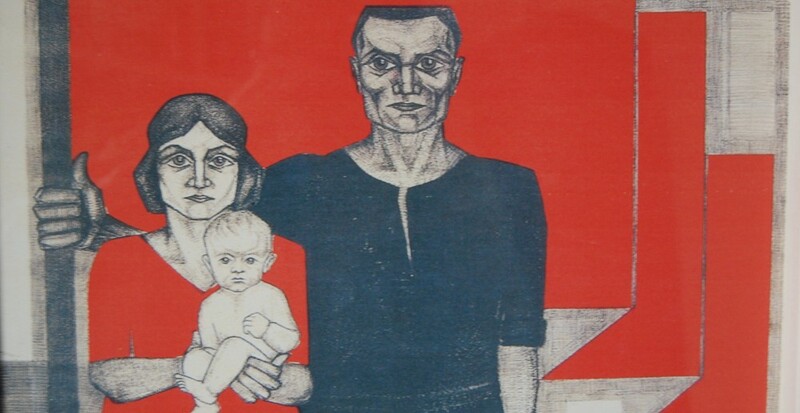 In Britain a working class party, at least in terms of support, exists in the form of the Labour Party through which the struggle to advance such reforms can be made. In Ireland the Irish Labour Party excites the hopes of a smaller or larger minority of workers at various times, only for it to betray those hopes. But it does not retain workers’ allegiance so that some continuing struggle within it can form the basis of advancing Irish workers political consciousness and organisation. So no obvious candidate for the party needed to fulfil the perspectives of the Right2Water Campaign’s authors exists. For many people newly drawn into political activity against the water charges this will be an obvious difficulty. But it is not the most immediate. The most immediate is the fact that what exists is a campaign against water charges that has no structure, or rather no democratic structure, so that it cannot decide whether any of the ideas put forward in the statement should be supported, because ‘it’ – a campaign – does not exist in any sort of form that could make a decision. Nor is there any proposal in the statement to bring one into existence through, for example, a national conference and a democratically elected leadership accountable at all times to campaign supporters. In a previous post I noted that it would be necessary to develop the scope and demands of the campaign but that this would need to be prepared. Such preparation involves creating arrangements that allow people to discuss what they think collectively, whether they think the campaign should adopt additional objectives to that of opposing charges, and whether certain tactics should be promoted or not. Even the statement leaves open the reality that the charges still exist, have not been killed off, and have a zombie-like existence – being half-dead and half-alive. We have all seen enough zombie movies to know they keep on coming back to life to bite us. This is all very simple. If someone thinks the campaign should support certain candidates in an upcoming election they must be able to answer these questions when anyone in the campaign asks them. This entry was posted in Austerity, class struggle, Tony Benn, Water Charges and tagged Austerity, class struggle, Resistance, Water Charges by irishmarxism. Bookmark the permalink. Whether candidates are supported or put forward is a tactical question. But, what seems to be clear, is that simply ignoring elections – except for special circumstances where a call for a boycott is required – amounts to ultra-leftism, for several reasons. Firstly, for the reasons set out by Lenin that except, and often even during a revolutionary situation, the majority continue to see elections, and parliaments as important. But, secondly, those of us who believe that real socialist change comes from workers own self-activity, in the creation of co-operatives and other forms of worker owned property, and democratic structures cannot ignore the fact that the struggle of these forms of property against existing capitalist property is the true nature of class struggle, and for that reason the existing state structures will be used to defend the existing property forms. The capitalist state will not intervene openly on each occasion that some new piece of workers property is established, they are not about to break up John Lewis, or Mondragon, but laws will be framed to constrain workers actions, just as they are in relation to Trade Union organisation. The more capitalist property appears to be under threat, the more open will be that intervention by the state. The class struggle must take place on several fronts, therefore. It takes place on the industrial front, as worker owned property is continually expanded in opposition to capitalist property, as well as being backed up by trade union struggle; it takes place ideologically as the ideas that flow logically from the material base of worker owned property are counterposed to bourgeois ideas, but it must also take place on the political front in order to limit the space available for the capitalist state to intervene, and to expand the space available for workers to operate. Marx thought that a precondition for workers development in the 19th century was the ten Hour Day, so that they had time to organise, to read and be educated and so on. But, it would have been practically impossible to have such a 10 Hour Day without legislation, imposing it on all employers, and giving workers a legal basis upon which to police it via their unions and workplace organisation. It is not immaterial to workers whether they have the rights provided by bourgeois freedom to organise, to free speech and so on. It would not be immaterial whether in Britain the Tory anti-union laws were abolished or not. It was important for the workers in Argentina, who occupied their factories and turned them into co-operatives, to have their ownership of the factories legally sanctioned, so that they were not continually looking over their shoulder at the possibility of them being taken back. The more we build workers’ property, and democratic organs based upon it, within communities, the more that will create the ideas, the confidence and so on that will enable us either to transform existing workers’ parties, or to create new workers’ parties that fulfil the questions of Tony Benn set out above. But, we will have to send those representatives into the debating chambers of bourgeois democracy, just as we have to send TU representatives into debate with managements, because for now we have to deal with the existing reality, and the power relations that flow from it. I do not agree that changing the priorities in this way, necessarily means the system must go into crisis, or begin to work less well. This seems to echo a sort of Lassallean or De Leonite view that if workers wages rise, profits must fall approach. Marx showed why this is wrong both in theory and in practice. Henry Ford showed even more why its wrong in practice. One of his first acts was to massively increase the wages of his workers, and the consequence was not a crisis for his company, but bumper profits, as the level of productivity rose massively. Lenin, himself pointed out that ultimately capitalist enterprises only prosper if they meet the needs of consumers, and increasingly the majority of consumers are themselves workers. In the development of Capitalism in Russia, he also pointed out that the more capitalistic the enterprise, i.e. the more it was based on machine production rather than being an old handicraft industry, the higher the wages of the workers, and the better their conditions, alongside the bigger the profits of the firm. The very large firms today engage in planning on a long term basis for exactly this purpose. They can only maximise their profits in the long term, if they identify consumer preferences, and combined with complex means of determining how that may change with population etc. they then organise their production accordingly. Profit is merely the capitalistic form of the social surplus product, and for a socialist society, or a society in transition from capitalism to socialism, to be able to provide workers with a better standard of living, and to reduce their burden of work, it will have to increase the size of that social surplus product considerably, so as to undertake the necessary investment to bring it about. We believe that is possible, because we believe that co-operative, worker owned production is far more efficient than even the production undertaken by the big capitalist producers. Its quite possible, therefore, that an expanded, worker owned sector, thereby expands the social surplus within an existing capitalism, and by raising the level of social productivity, also thereby enables capitalist enterprises to expand their own profits (they will be buyers of cheaper constant capital produced in the co-operative sector, they will be buyers of labour-power whose value will be lower because co-operatives produce, food, clothes, shelter and so on more efficiently). Because of a continuing operation of the market, and formation of prices of production, even if workers are able to take the co-operative sector out of the process of formation of the general rate of profit, private capital will still benefit from this process. Rather than working worse, the system should work much better! Under feudalism, the rise of capitalism, which posited a different set of priorities for production did not undermine the functioning of the economy. The economy grew even faster, as capitalism developed within it. Moreover, the revenues obtained by the feudal landlords did not decline, but expanded, because capitalist production increased the potential for rents to be collected, taxes by the state, and interest by money lenders. The opposition by the feudal rulers was not based upon a crisis of the economy, or even a loss of income, but upon a loss of political power, that reflected the ultimate replacement of their form of property as dominant. A growing, efficient co-operative sector of the economy should see that economy growing more strongly, and efficiently, and enabling both capitalists and workers to obtain a bigger product. But, capital will oppose that development at a certain point, because as the worker owned sector expands sufficiently, even as the size of the economy grows, the size of the capitalist sector becomes smaller. Capitalist opposition is not based on a loss of revenue, but on a threatening loss of property. Thanks for your comment Boffy, and for your previous ones. I must admit that I had not considered that an expanding workers’ cooperative sector would have such positive effects on capital accumulation within the private capitalist sector. But obviously efficient cooperative production of consumption goods and means of production will have the effect of lowering the value of labour power and of constant capital thus allowing greater accumulation of surplus value and increasing the rate of profit in the private capitalist sector. When I wrote of the malfunctioning of the capitalist economy consequent on reforms aimed at putting ‘people before profit’ I had in mind the programmes put forward by the Left organisations in Ireland. This should have been made clear. This programme includes progressive taxation of the rich, a massive wealth tax and widespread nationalisation by the capitalist state to create jobs within the public sector. I am not against taxing the rich, either their incomes or their wealth, and it is obvious from previous history that capitalist societies are capable of continuing to function, and function reasonably well, with levels of taxation in excess of what has become the norm over the past few decades. One only has to think of top tax rates of around 90% in the 1960s in Britain and the US. Of course capitalist crisis can make these unaffordable and so they can’t be regarded as a permanent feature of any capitalist society. This in some ways reflects the weakness of Irish capitalism, reliant as it is on US multinational investment for its most competitive sector. This weakness is appreciated by the Irish working class and even by the Left, though this is only revealed by them in their otherwise inexplicably modest demands when it comes to proposals to increase corporation taxes. In another way it reflects that, as Marx explained, the distribution of resources is a reflection of the distribution of the conditions of production and the proposals to radically alter the pattern of distribution is a substitute for addressing inequalities created by capitalist monopoly ownership of the means of production. The proposals of the Left therefore create a conflict, which they do not resolve, between the pattern of distribution they propose and the conditions of production which exist that can only lead to the situation described in the article. In so far as they do address the property question it is to propose capitalist state ownership as the solution, which we agree is not socialist – whether this includes increasingly vague add-ons about workers’ control or not. In the past this approach has had exactly the wrong results, including nationalising failed Irish banks that have gone bust and which should have been left to die, rather than impose years of austerity in order to help pay the bill for the bailout. In a more general sense the efficacy of state ownership, even as a reform that is not confused with socialism, is obviously not unaffected by the character of the state itself. In this respect the weak, venal and incompetent nature of the Irish State is a real barrier to any sort of state capitalist led development. The last general election promised a ‘democratic revolution’ and Irish liberals had hopes that the crisis might create the opportunity for a recasting of the state apparatus to make it more efficient and dynamic. If the programme of the Left reflects any larger project then it is this. The article above was about the new Irish Water utility company and the proposals for charges to fund it. This company is a perfect example of the corruption and inefficiency of much Irish State – ‘public sector’ – provision of services. The setting up of one single utility company was obviously carried out with a view to making charging for its services much more straight forward and on this basis some opponents of the charges have called for it to be scrapped and responsibility returned to local council level. It is not obvious to me that a single company is not the way to best provide these services but it must be obvious to everyone in the Irish State that local council control left a legacy of inefficiency; wastage – with water leakage levels over 40%; poor service – with water in some parts of Roscommon unfit to drink for years; and incompetence – with Irish Water unable to say what volumes of water have been treated or delivered and unable to accurately estimate the length of its sewage pipe network. It must be evident that a growing state sector developed on such grounds would not assist the development of the productivity and profitability of either a cooperative sector or privately owned capitalist sector. Such matters of course are not the concern of the Left who either posit a revolution to solve these problems or, in the case of the Socialist Party, a parliamentary majority to implement total state ownership.